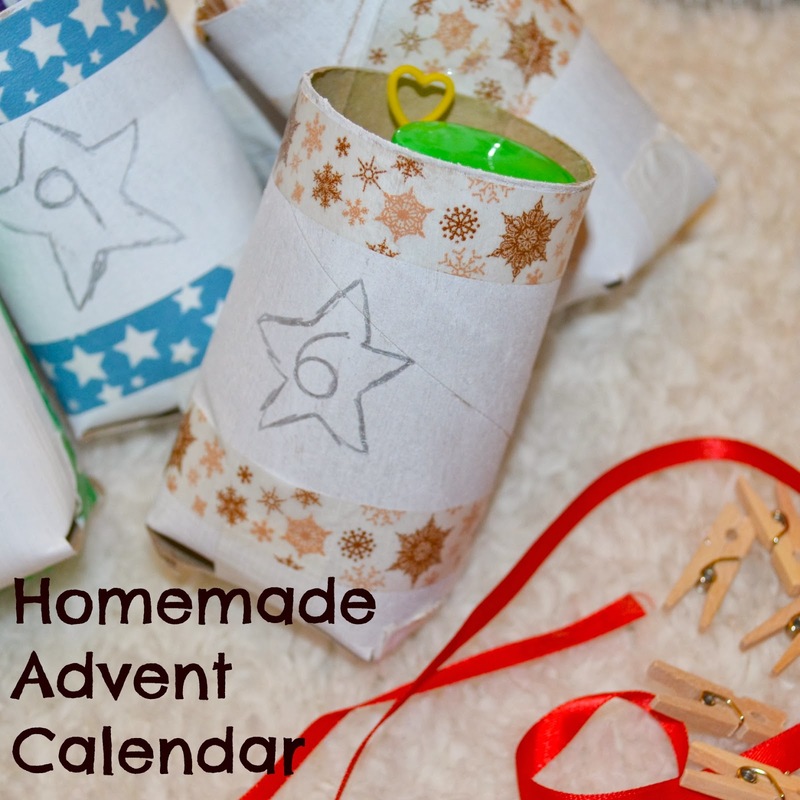 There are so many amazing ideas for homemade advent calendars around, that I couldn't resist attempting my own. 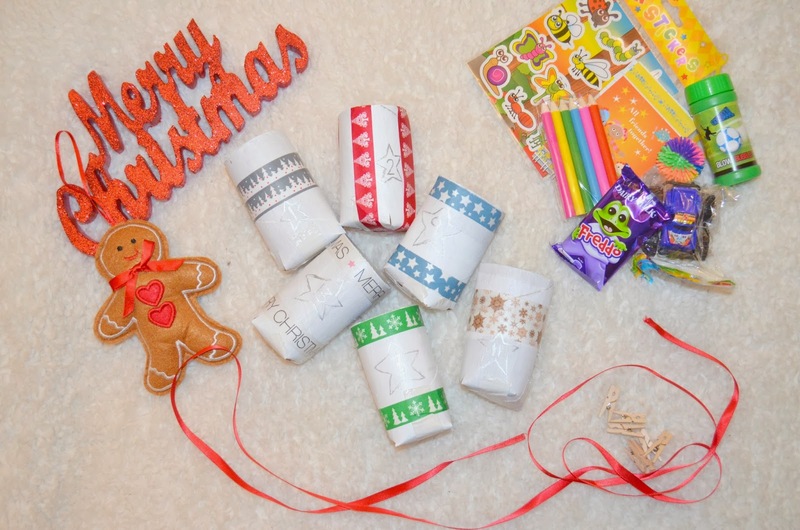 Armed with a box full of empty toilet rolls (the most useful craft tool to date I reckon), some paint and some washi tape, I set to work creating something unique for the boys. I started off by painting all my tubes white, and then made four slits in one end, and folded them over to make a cup shape. I secured it with white duct tape and decorated. 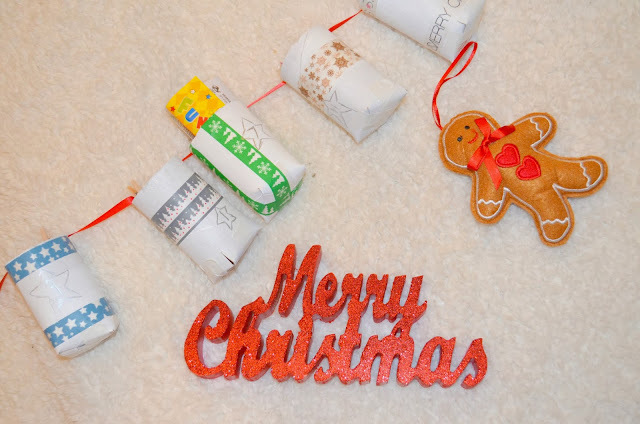 You could do almost anything with the decoration from getting the kids to help, to glitter to the very simple option which I couldn't resist - Washi tape. I love the stuff and it was a great excuse to pick up some festive tapes ready for present wrapping. 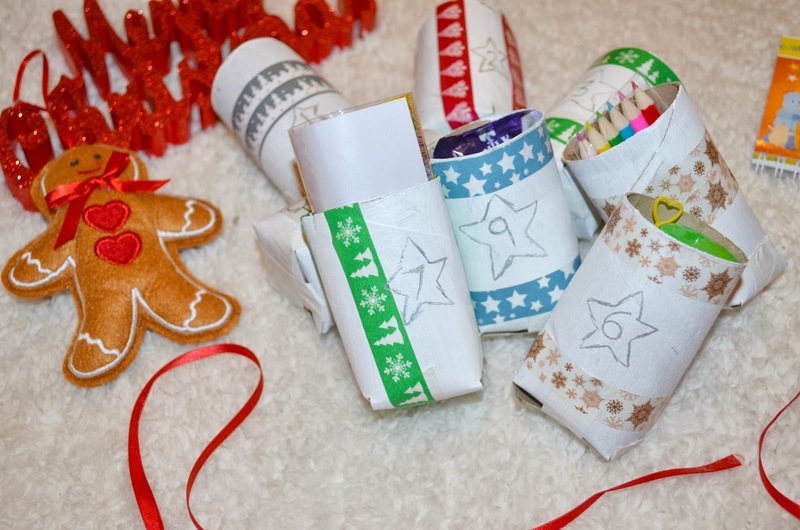 I decorated each roll slightly differently, and used a silver gel pen to add the numbers one to twenty four. 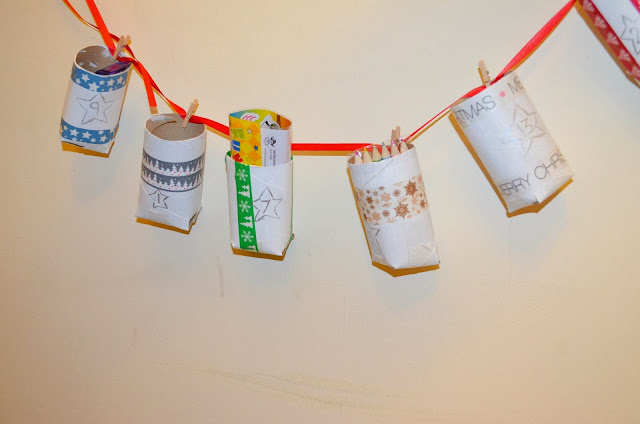 I then used clothes pegs to attach my decorated rolls to a red ribbon which I will hang above the fireplace in the living room. In the picture I used mini pegs, but in reality I think full sized ones will be more secure. You can decorate these as well with Washi tape if you wish (but I am not sure that I have the dedication at the moment). For the fillings, I have used a mixture of toys and chocolates. Whilst I am not ready to give my toddler a chocolate every day, I don't mind him having the odd one so there will be a couple of little treats each week. I have filled the other tubes with toy cars, bubbles, crayons and similar little items that we can play with together. I love how easily reusable these are, and how simple. I know there are some beautiful homemade ideas out there, but this is perfect for our family and for my boys. It will be easy for this calendar to grow with our family too as each pocket can be filled with whatever you choose. My plan is to hang all of the numbers in a random order as Dylan will love searching for the right one every morning. I can't wait to show it to him on the 1st of December and begin the countdown to that magical day! If you do decide to give this a go then please let me know how you get on, and I would love it if you could post some pictures on my facebook page. Good Luck!